August | 2014 | Namaste to you, Sir! It feels like the Summer is almost gone so I’ll try to post all my summery recipes before it gets too cold to actually enjoy them. If you like Matcha, give this drink a try. 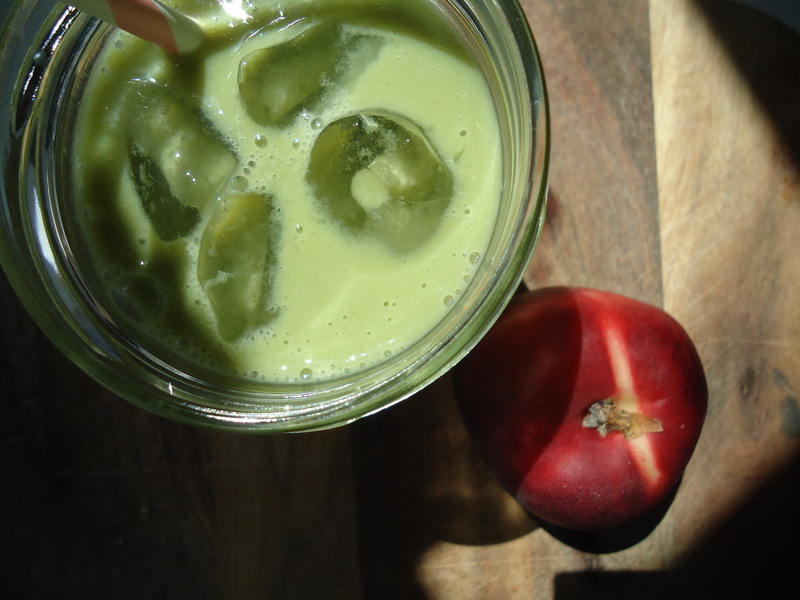 It is a very smooth smoothie, sweet from the nectarine and with all the health benefits of almond milk and matcha green tea. It is not very thick, but it is quite filling, and with only 3 ingredients you’ll put it together in minutes. It would make a good, tasty Summer breakfast drink. 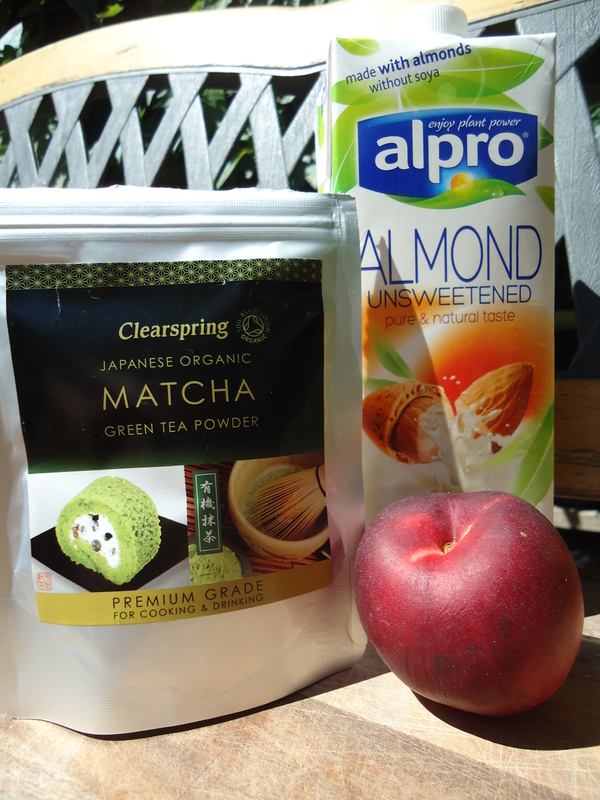 To read about health benefits, click on Matcha Green Tea or Almond Milk. 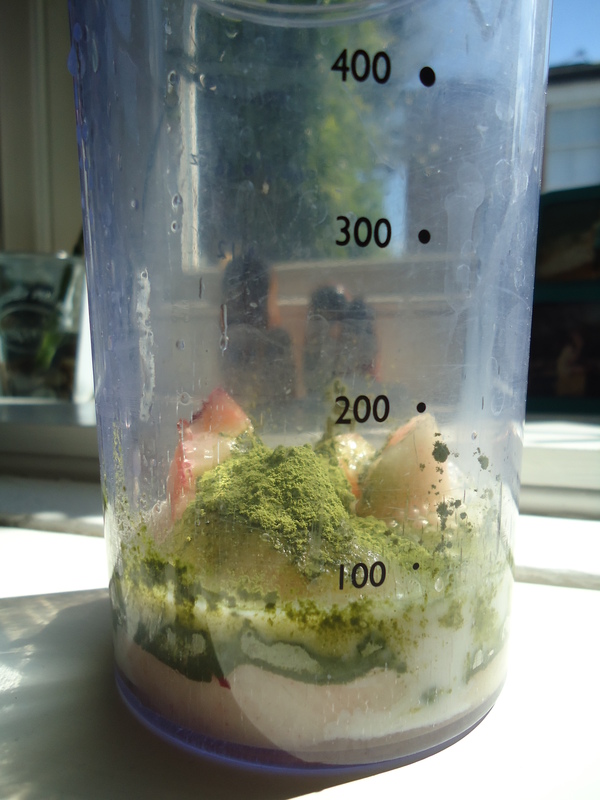 1.- If you have a blender, simply blend everything together. 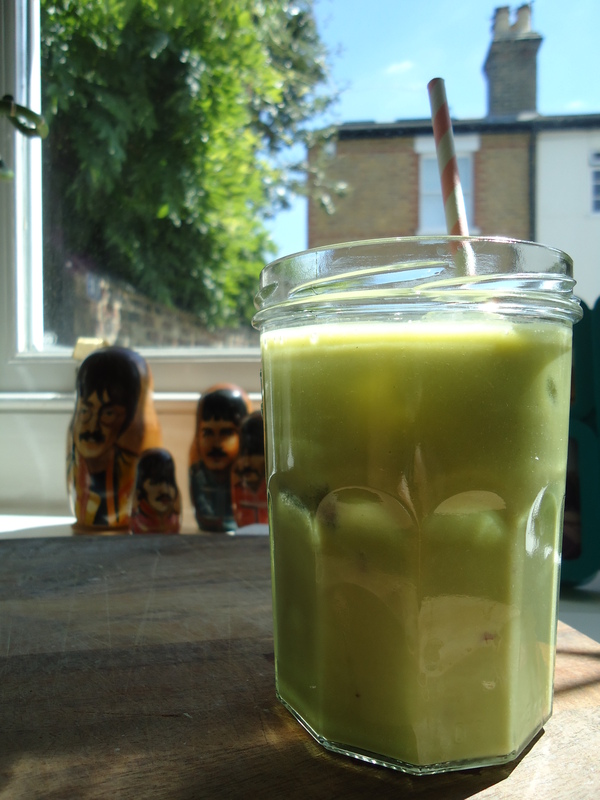 If you have a hand-held blender like myself, place the tea, nectarine and half the almond milk and blend till smooth. Add the remaining almond milk and blend. 2.- Serve in a glass with ice and enjoy!!! Note: You don’t need to peel the nectarine. 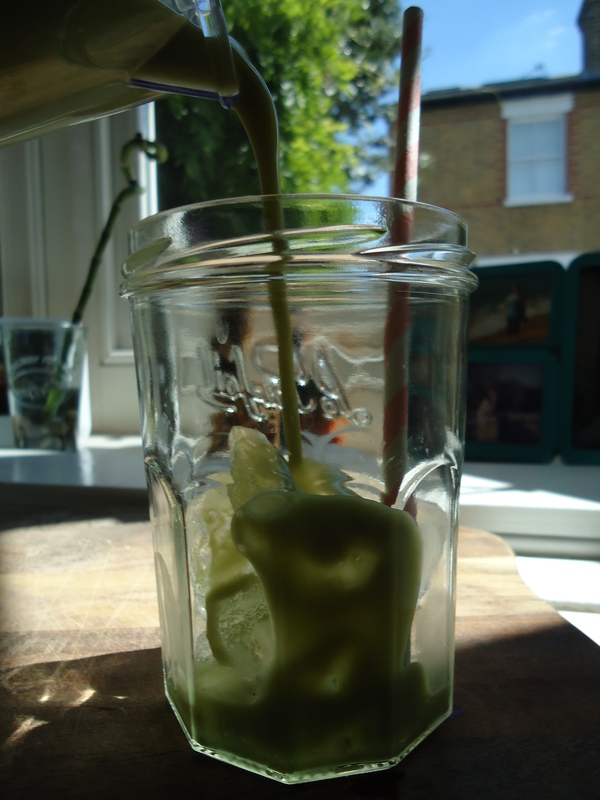 If you do, your drink will have this lovely, vibrant green colour (and I love green coloured drinks), otherwise it will turn a bit brownish, but the taste will be the same, so if you don’t have time, don’t bother peeling it. Also, the nectarine I used was very sweet, but sometimes they are not, and you might have to add some sort of sweetener to get the right flavour balance. A grey, rainy bank holiday Monday. I woke up to the sound of rain around 9 am this morning, and at 5:30 pm, it is still coming down pretty heavily. 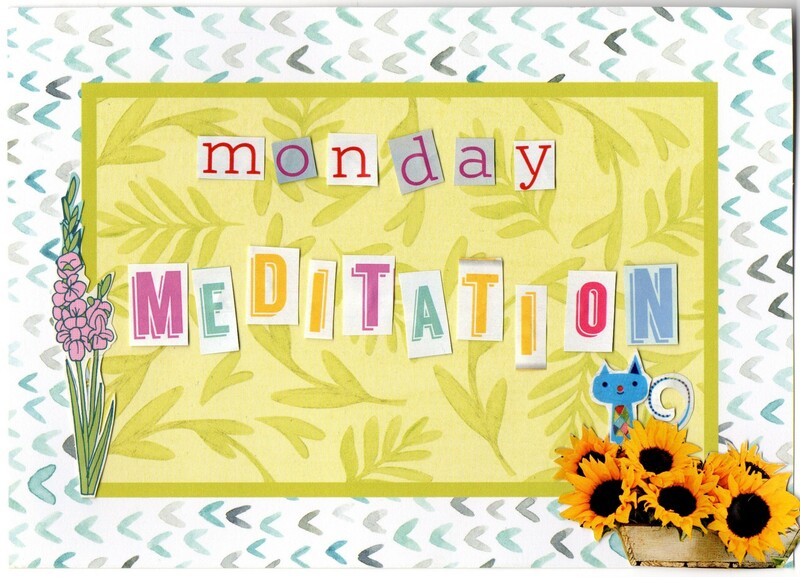 We are getting to the end of this series of meditations to balance the Chakras. Only two chakras left and then I think it’s time to move on to other types of meditation. Today, we’ll use Tibetan singing bowls to balance the Third Eye Chakra, which is the home of our Sixth Sense. It is represented by the colour indigo and a lotus flower with two large petals. This Chakra is located in the centre of our forehead, between, and just above, our eyes and it’s the chakra associated with intuition and psychic ability. This Chakra is also the seat of understanding that affects how we see the world we live in and how we make sense of what is being perceived. On a physical level, since this Chakra has to do with perception, it is directly related to our senses of sight and hearing. When our Third Eye chakra is balanced, we experience overall good health, clear thinking and focus. 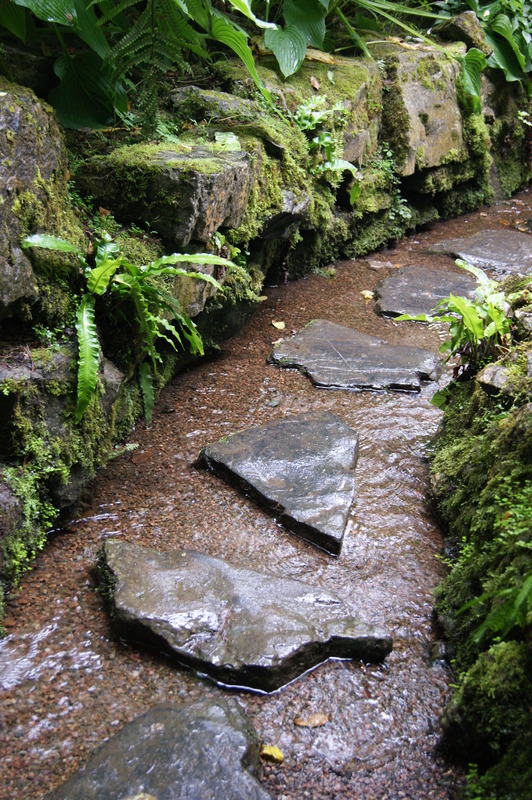 We are able to easily hear and follow our intuition. When this Chakra is unbalanced we experience fatigue, day dreaming, sleep problems, and may even feel disoriented. When this Chakra is over-active, you may live immerse in a world of fantasy and find difficulty in separating reality from daydream. On a physical level, an unbalanced Third Eye Chakra will cause eye problems, ear problems and hearing difficulties, spinal conditions, and scalp/hair issues.